DeleteAllMessages iOS 7: Delete ALL Messages in iPhone at Once! How to Delete ALL Messages in iPhone at the Same Time! It’s quite fussy and irritating to some extent that there is no option to delete all messages in iPhone at the same time. While we await for Apple to bring in some basic features, currently not present in iOS 7, in the upcoming iOS 7.1, here is a solution to deleting all messages in the iPhone. – Relevant: Remote Messages 3 iOS 7 Jailbreak Tweak is Now Available – ARM64 Compatible! Here is how to delete all messages in iPhone at the same time with this tiny little tweak. 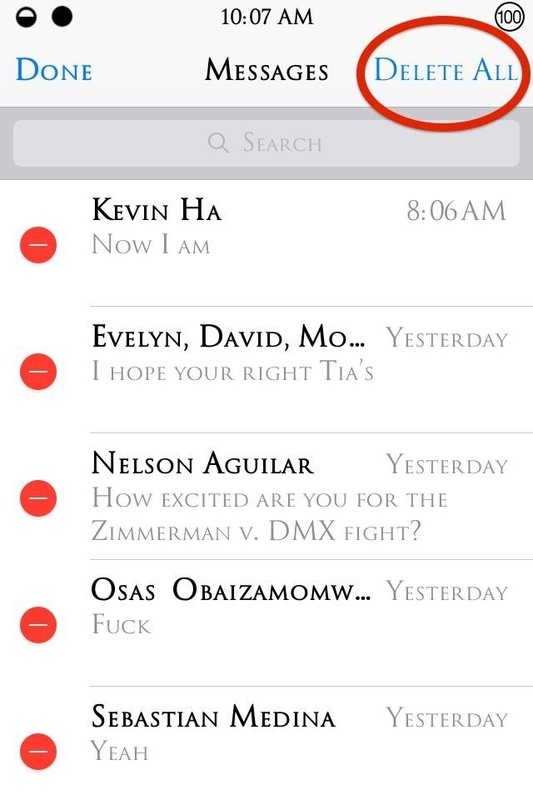 DeleteAllMessages iOS 7 jailbreak tweak allows you to delete all conversations in one go! Rather than deleting every single message individually, you can now delete all the messages at the same time with DeleteAllMessages iOS 7 JB tweak. We hope you have already jailbroken your iOS device. Once that’s done, go to Cydia, search for DeleteAllMessages, and install it. Once done, your device will respring and ta da! On the native Messages app, go to Edit button and you will see the options to Delete All messages in your iPhone. Don’t please try it if you don’t intend to delete all. No prompts or pop ups come up. They will vanish in just one tap! Don’t forget to share with us your favorite iOS 7 jailbreak tweaks too. For more, you can check our list (check: iOS 7 Compatible Jailbreak Apps and Tweaks – Updated List February 10) that we try to constantly update as the new jailbreak tweaks come up and the old ones get updated! Help us make this list more comprehensive with your support!